As aviation charges ahead to become one of the world's fastest growing industries, with passenger numbers and cargo volumes projected to double in the next 20 years, "Plane Truth" sounds a highly informed note of scepticism. Rose Bridger provides a comprehensive account of aviation's impact, including how new airports are gobbling up farmland and wildlife habitats and inflicting noise and air pollution on communities. She reveals the extraordinary level of subsidy for the industry, from government expenditure on infrastructure to tax breaks, which helps to support the industry in the face of rising oil prices and the global economic downturn. 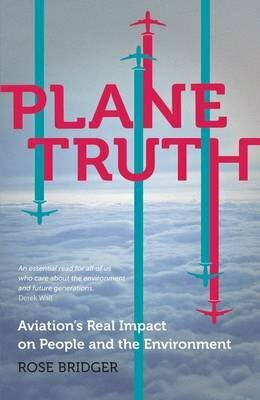 "Plane Truth" demolishes industry claims that fuel-efficient aircraft and alternative fuels can enable growth without increasing climate change and reveals the symbiotic relationship between aviation and the wider socio-economic problems facing humanity.